Ayrshire Scotland Business News: South Ayrshire gets fired up for Burns! South Ayrshire gets fired up for Burns! 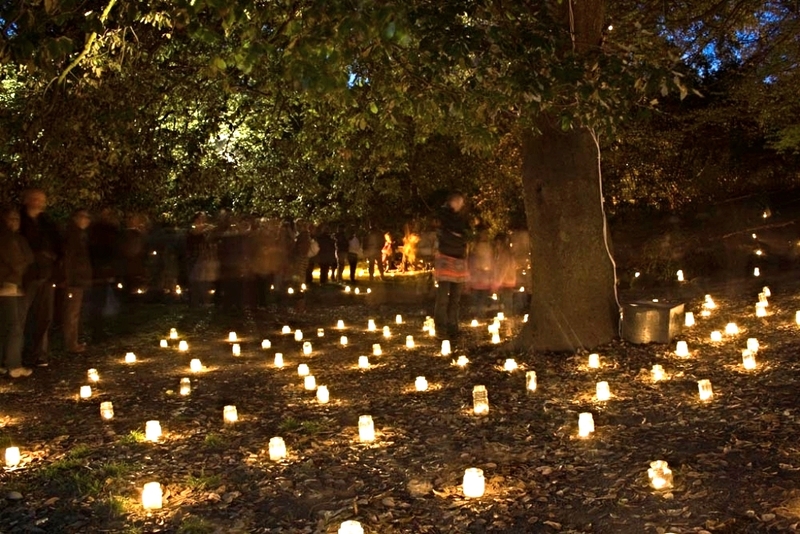 The first-ever Robert Burns Humanitarian Award concert and an exciting Burns-themed fire garden (pictured below) are just two of the highlights of this year’s Alloway 1759 celebrations, which take place in and around Burn’s birthplace this month. Alloway 1759 is a unique commemoration of the birthplace and life of Robert Burns and forms part of the year-round Burns an’ a’ that! Festival – this year celebrating its 15th anniversary and sponsored by Burns’ Crystal. For 2016, the event runs from 21 to 25 January, with special ‘taster’ events also taking place the weekend before. Alloway 1759 is supported by South Ayrshire Council and also receives support as part of the Scotland’s Winter Festivals programme of events. Cabinet Secretary for Culture, Europe and External Affairs, Fiona Hyslop MSP said: “Robert Burns’ words are recognised around the world and his poetry, writing and songs continue to be enjoyed by millions. Burns Night is a great opportunity to celebrate our Scottish identity and our National Bard. Alloway 1759 is a unique commemoration with something for everyone to enjoy. The first-ever Robert Burns Humanitarian Award Concert takes place on Thursday 21 January at the Brig o’ Doon Hotel, Ayr. A limited number of tickets are now available for this exciting event, which will be compered by actress Libby McArthur and features musical entertainment from the fantastic Roddy Hart and the Lonesome Fire, with support from Eilidh Grant with Neil Sturgeon on guitar. There will also be tension in the air as the winner of the Robert Burns Humanitarian Award 2016 will be announced on the night – the first-time the award has been presented at a public event! Three as-yet-to-be announced finalists are in the running for this much sought-after award, which has been on the go since 2002. Tickets for the Robert Burns Humanitarian Award Concert are on sale now from www.ayrgaiety.co.uk or 01292 288235. Make sure you don’t miss out and get yours now. On Friday 22 January, the University of the West of Scotland (UWS) Ayr campus is opening its doors to showcase the work of students who are following in Rabbie’s creative footsteps. The free event (from 10am-12 noon), in honour of the Robert Burns Humanitarian Award, offers a tour of the UWS Ayr campus as well as the showcase of student work, demonstrating how the student body is flying the flag for creativity in Ayrshire. Saturday 23 January promises to be a feast for the senses, with a unique Victorian-themed fire garden in honour of Scotland's famous poet. 'Burns Aflame' celebrates a festival held in 1844 which took place at the Burns Monument overlooking the Brig o’ Doon. Back then, 100,000 people gathered to commemorate the life of the talented Bard. 172 years later, this event will be recreated with spectacular flame-lined paths and scorching sculptural trees all surrounding the majestic Burns Monument. There will also be impressive fire-breathing flowers reminiscent of the floral arches carried by people 172 years ago. Come dressed in Victorian costume if you wish and wander the fire-lit garden – plus enjoy an evening of indoor entertainment! Burns Aflame is a not-to-be-missed event on Saturday 23 January at the Robert Burns Birthplace Museum. Choose either the early evening show (4.30pm-7:30pm) or the late night show (8:30pm-11:30pm, and get your tickets before they’re all gone. Tickets are on sale now from www.ayrgaiety.co.uk or 01292 288235. Councillor Bill Grant, Economic Development, Tourism and Leisure Portfolio Holder for South Ayrshire Council said: “This year Alloway 1759 promises to be bigger and better than ever before. “The Robert Burns Humanitarian Award Concert will not only be entertaining but inspirational, so I would encourage anyone interested in going along to snap up a ticket before they disappear. Annique Armstrong, VisitScotland Regional Director said: “In addition to honouring Burns – one of Ayrshire and Scotland’s greatest and most famous sons – Alloway 1759 provides a perfect opportunity to celebrate Scotland’s proud culture and rich heritage of creativity so this year’s commemorative events will really set the scene for the Year of Innovation, Architecture and Design 2016. To get the Burns festivities underway, two warm-up gigs are taking place on Saturday 16 January: Ayr’s ‘Honest Men’ Ayr United will take on Cowdenbeath in association with Alloway 1759. The Ayr United mascot will be handing out special Burns badges to the kids at half-time, and it’s a great chance to come along and support your local team. There is also a special conference ‘Two Bards’ celebrating the uncanny similarities in the lives of Rabbie and Shakespeare, which will take place at The Robert Burns Birthplace Museum. The Big Haggis Feast and Ceilidh takes place in Alloway on Thursday 21 January. Robert Burns’ Birthplace Museum celebrates the Bard’s birthday in style with a haggis feast and ceilidh, featuring Ayrshire’s dynamic Borland Ceilidh Band. You can let your hair down at Wellingtons Bar in Ayr on Friday 22 January and experience Reel, Rattle ‘n’ Roll with The Junkmans Choir. The Ayrshire band’s third album pays homage to Burns' lesser known works in wild, swinging songs, many of which explore Burns' time spent in the world of Ayrshire ale houses. On Saturday 23 January, you can experience Burns’ Last Supper at Burns Cottage Pavilion. This free, fast-paced performance – suitable for all the family – takes the audience through the life and times of the great man, including poems and songs such as Tam o’ Shanter, To a Mouse, A Red Red Rose and Auld Lang Syne. Sunday 24 January is Burns’ Big Birthday Bash where among other activities, visitors can enjoy free entry to Burns Cottage and take part in the hugely-popular Alloway 1759 World Haggis Hurling Championships! Why not join in and see if you can you break the record? All you need to do is turn up on the day and flex your muscles! Two very unique Burns Suppers take place on Burns Day itself (Monday 25 January), including the first Burns Supper to be held at Burns Cottage itself in over 200 years. With only 30 places up for grabs, this will be a unique and exceptional night. The world’s first formal Vegan Burns Supper of its kind will also take place at the Brig o’ Doon Hotel. Full details of all these exciting events, and much, much more, are available at www.burnsfestival.com. Tickets for the Robert Burns Humanitarian Award Concert (priced at £24.50) and Burns Aflame (priced at £7.50) are available at www.ayrgaiety.co.uk or by calling 01292 288235.